It can be difficult to know which marketing platforms and strategies can really move the needle for eCommerce professionals. Between learning how to build your brand for greater market penetration, figuring out the best social media channels for your products and increasing sales with your marketing efforts, it’s easy to get into information overload. We asked eight top influencers about marketing as an eCommerce professional, and we think their responses will give you what you need to make a splash in your space. 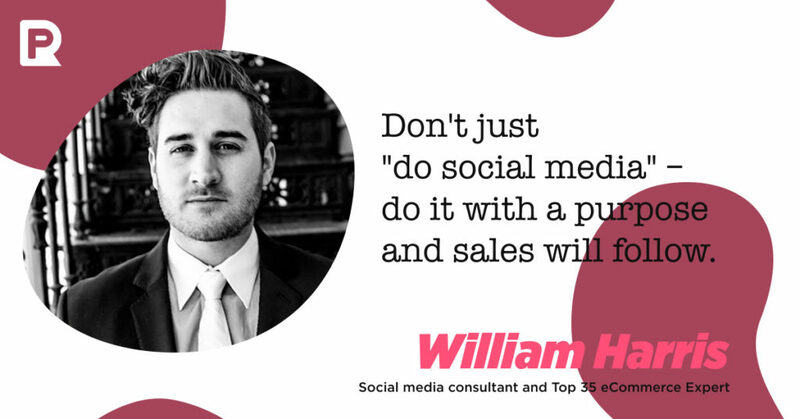 William Harris, a social media consultant, and Top 35 eCommerce Expert. This advice comes from William Harris, a social media consultant, and Top 35 eCommerce Expert. He’s a national speaker and contributor with pieces in Fast Company, Entrepreneur, and The Next Web. And he’s right. Identifying your ideal customer leads to finding your key audience on social media. If you’re an eCommerce professional, you probably have a pretty good idea of what sorts of people buy the products you sell. And, social channels give you the opportunity to segment audiences to reach those people. But first, you have to think hard about who buys now, and who will buy in the future. Scaling your business is possible when you are able to extend your reach. You can do that with demographic research and social listening. 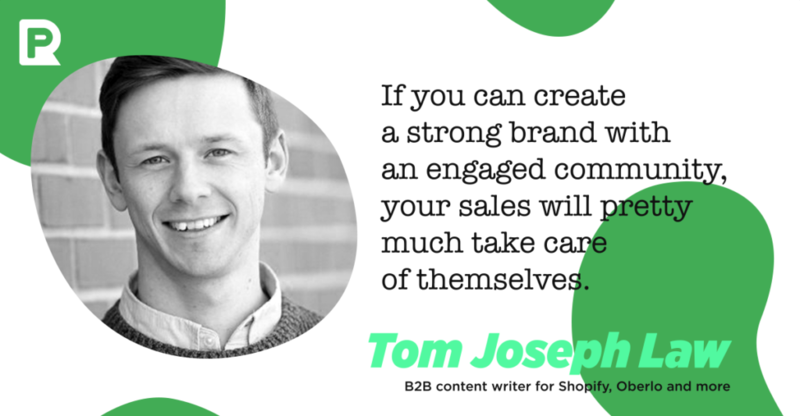 Tom Joseph Law, a B2B content writer for Shopify, Oberlo and more. Tom Joseph Law, a B2B content writer and marketer with a specialty in eCommerce, produces content for Shopify, Oberlo and more. And, he hits the nail on the head when talking about branding for eCommerce professionals. Many retailers who got their start on eBay or Amazon didn’t think about branding. After all, they were selling on marketplaces that facilitated sales for them, and they didn’t have a lot of opportunity for branding. That’s not the case anymore – with those platforms, and certainly not with Shopify and other eCommerce platforms. Building a recognizable brand that people can identify with not only helps you rise to the top of other sellers in your industry, but it results in brand loyalty and community engagement. Shane Barker, a consultant for Fortune 500 companies, influencers, and a number of A-list celebrities. 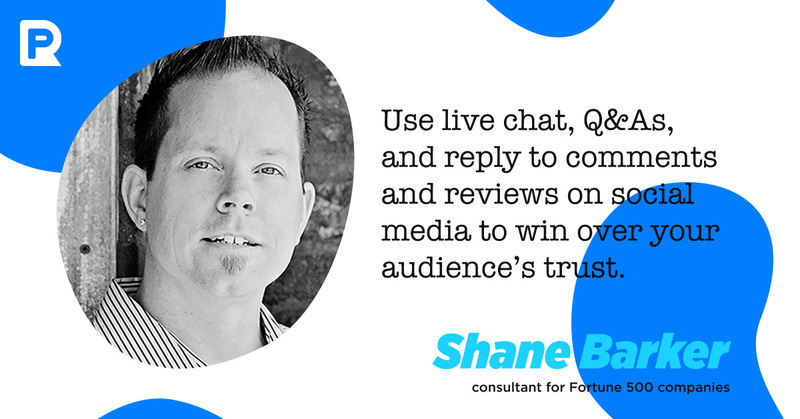 Do You Have A Proven Social Media Strategy That Drives Engagement For Your Brand?
? Automate Your Social Media Presence and Drive More Engagement! Optimize your social media posts with relevant keywords to bring more relevant traffic to your eCommerce store. Use images and hashtags to increase your visibility and get the attention of your target customers. Use your creativity to make your promotional posts more informative and entertaining, while keeping consumers’ likes and preferences in mind. Secure reviews from your existing loyal customers. They can make a huge difference. I personally read many reviews before buying anything online. Creativity in promotional posts is key, and it does increase engagement. Paying attention to trends and making your posts relevant and timely helps let fans and followers know that you’re a brand that pays attention. Christian Karasiewicz, an award-winning Facebook marketing professional. 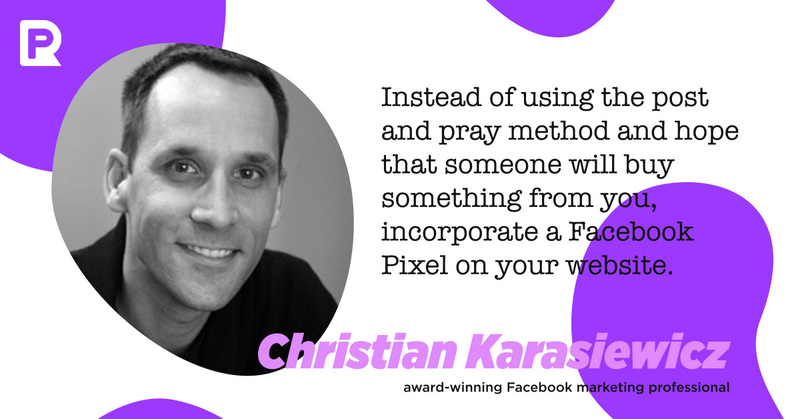 “Instead of using the post and pray method and hope that someone will buy something from you, incorporate a Facebook pixel on your website. You can then utilize the data that is collected to retarget customers based on the content that they viewed. By digging deeper into the data, you can scale your business more successfully. Charlie Lawrance, the Founder, and CEO of Gecko Squared, says that Facebook advertising is critically important to success on the platform. His company specializes in Facebook advertising, for clients in the eCommerce industry and other industries. 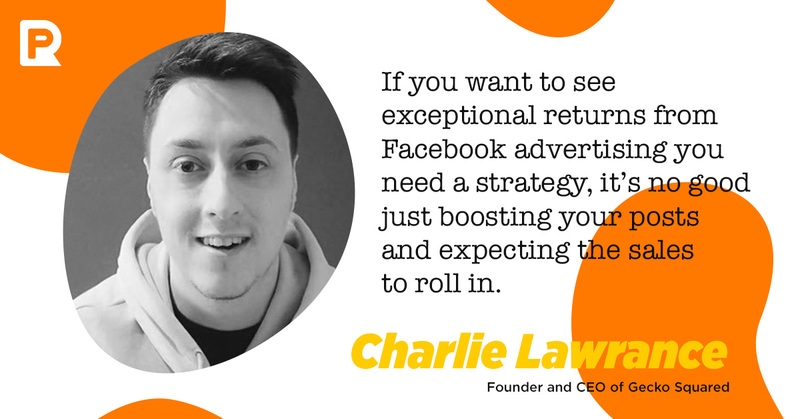 Charlie’s advice for Facebook advertising is simple and powerful. “To see consistent and sustainable results from Facebook advertising you need to implement the ALL Framework. This is a proven strategy that takes someone from a stranger to a paying customer, by showing the right ads, to the right people, at the right time. Are You Fully Satisfied With the Current Sales and Revenue?
? Learn How Facebook Ads Can Drive More Sales! The goal at this level is to deliver value to your target audiences, ideally via video content (as it is the most effective content type right now). Brand story videos work really well at this level. Once you start to build awareness, recognition in the Newsfeed, credibility, and authority from your video content you can remarket your video viewers via Video Custom Audiences and move onto Level 1 remarketing. Here you want to position products with some type of incentive to buy. Discount offers work extremely well for eCommerce. At Level 1 you are building consideration of your products and driving traffic to particular product pages for people to take you up on your offer. A small percentage of people will convert into first-time buyers at this level. At the bottom of the ALL Framework, you have website remarketing. These are some of the highest ROI campaigns you can create on Facebook. Using Website Custom Audiences, along with your Facebook Pixel and conversion tracking, you can target people that have viewed your products but not completed their purchase. Using the RTM method (Reminders, Testimonials, and Messenger) you can re-engage these “hot” audiences and get them to come back to your website and convert into new customers. 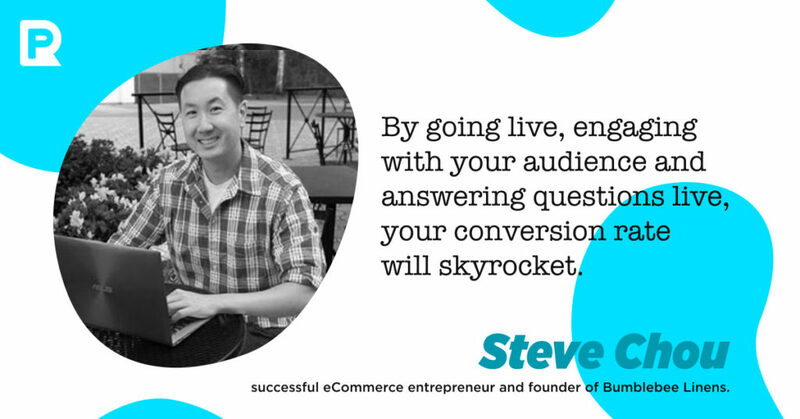 Steve Chou, successful eCommerce entrepreneur and founder of Bumblebee Linens. Steve Chou, successful eCommerce entrepreneur and founder of Bumblebee Linens, knows a little something about successful selling. And by a little, we mean a lot. Steve took his own success as a seller and parlayed it into a booming coaching program over at My Wife Quit Her Job. He uses his own experience to help beginning and experienced sellers alike learn how to maximize their profits and build a niche eCommerce store from scratch. Everyone knows that Facebook Live videos get results. They make users feel like they are a part of something, and they make people feel closer to a brand. You can actually increase your revenue with Facebook Live videos. Jason Goldberg, SVP of Commerce at SapientRazorfish. Are You 100% Sure Your Products & Content Looks Shoppable on Social?
? Make Every Post Looks Shoppable and Increase Your Sales with PromoRepublic! 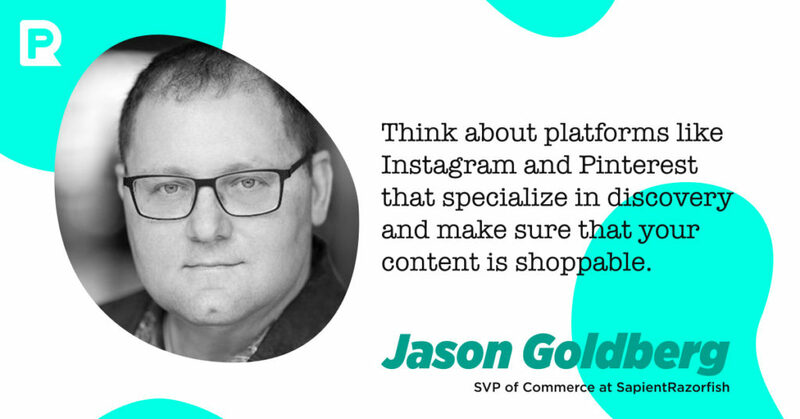 Jason Goldberg, SVP of Commerce at SapientRazorfish and ost of Jason & Scot eCommerce Podcast, editor at Retail Geek and knower of all things eCommerce related, has the right idea. Shoppable content is key to eCommerce sellers. The more you realize that the more successful you’ll be. 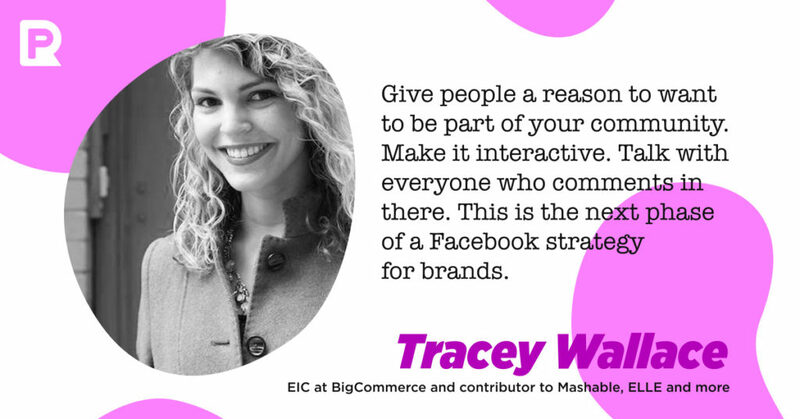 Tracey Wallace, EIC at BigCommerce, Founder of Doris Sleep and previous contributor to Mashable, ELLE Magazine and more. “Either way, brands right now need to be focusing on building community on their own sites and through the channels (like Facebook and Instagram) where it makes sense. Amazon is forcing all brands to use their channel as a complementary sales channel, which then means your products are commoditized. That doesn’t have to be a bad thing. Amazon makes brands tons of revenue. But you need to give folks a reason to come buy from you, and not Amazon. Selling on one eCommerce marketplace and hoping that you can increase brand loyalty just by staying in stock and complaint isn’t enough to make it in this fast-growing and fast-changing industry. Follow these experts on Twitter, listen to their advice, and watch your company grow. Before starting learning, you must be dedicated to find the genuine list of learning materials which can make your learning journey smooth and fast. And finding a good list of materials is in-fact a difficult task. It needs proper research to actually get a good list. I’m working on my new paid marketing project and also was looking for these kind of tips. Can you give more tips on paid marketing?